Are you wondering how to make crackers from scratch? Well today is the day to do it! 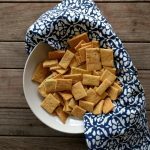 You definitely should try these homemade cheese crackers. You might be surprised at how quickly and easily they come together. I used to LOVE cheeze-its. As in, give me a box and you might not get any back when I’m through with them. I loved the flavor, the saltiness, and the crunch. That was when I didn’t read ingredient labels. Back when I didn’t know I could make something even better at home. 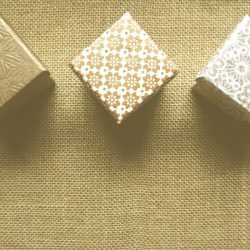 Why Should You Make Your Own Crackers? 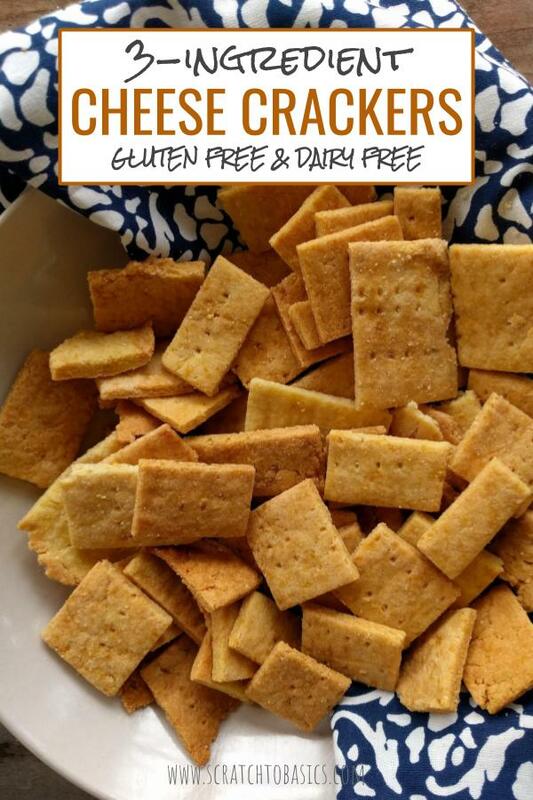 When you make your own crackers, you can choose what ingredients to use. 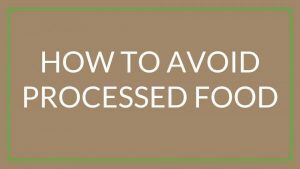 That means you don’t have to eat the stuff in the store bought crackers. 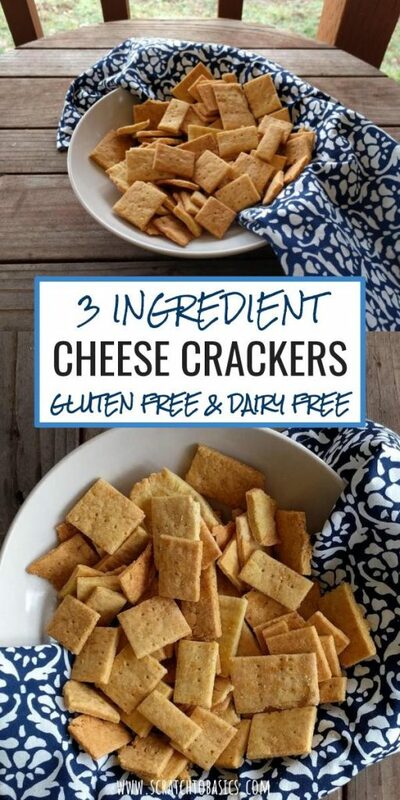 Not only do you get to choose your ingredients, you can make whatever flavor of crackers you want. Cheese, herb, pepper, spiced, etc..
Today we’re making “cheese” crackers, without the cheese. How do you do that? Well, let me tell you. The cheese flavor isn’t actually cheese, it’s nutritional yeast. If you’ve never heard of it, you should get some and see what you think. 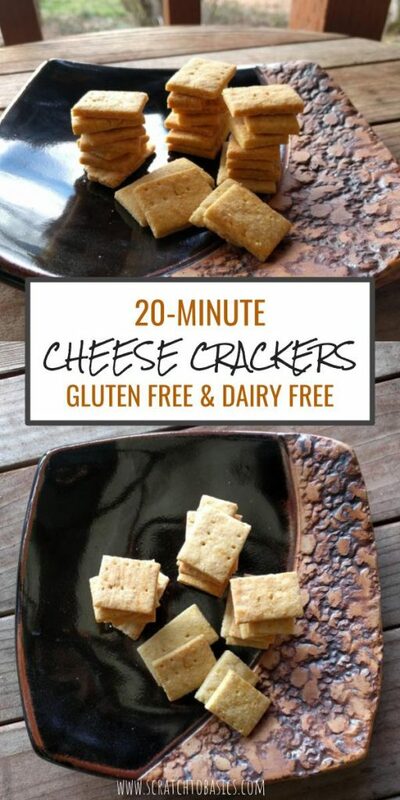 It gives food a cheesy flavor and it’s loaded with B vitamins. In addition to making yummy crackers, we love flavoring our popcorn with it. 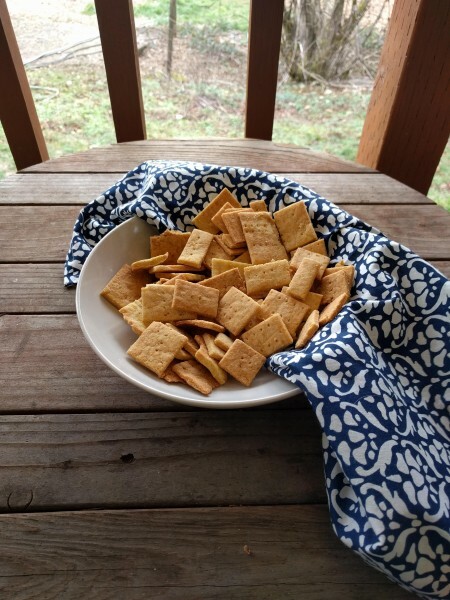 Making your own crackers at home sounds a little crazy to some people. 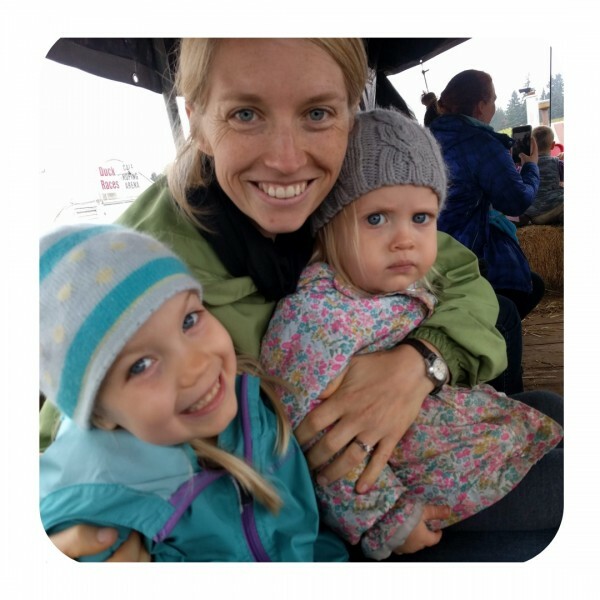 And I get some funny looks…like I’ve gone off the deep end. 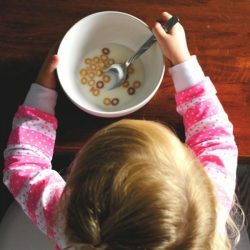 I think most people just don’t realize how simple it is to make food from scratch. They don’t know that they have options other than what the store provides. 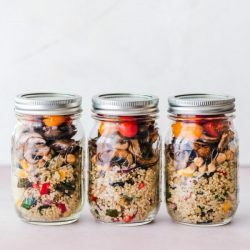 Honestly, I think it’s really fun to go to a store and look at something with tons of terrible ingredients, and then go home and make something that tastes just as good, if not better, with only a handful of nutrient dense ingredients. 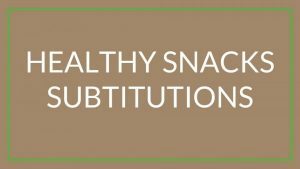 If you want ideas and recipes for homemade healthy snacks that you can substitute for store bought processed food, sign up for the Free Resource Library at the bottom of the page! It’s not like there aren’t enough choices in the grocery store. Too many choices, actually. Does anyone else get overwhelmed trying to buy something simple like toothpaste? Yeah. I’m the one staring at the shelves for ten minutes and then I end up getting the same thing I got last time. Sheesh. 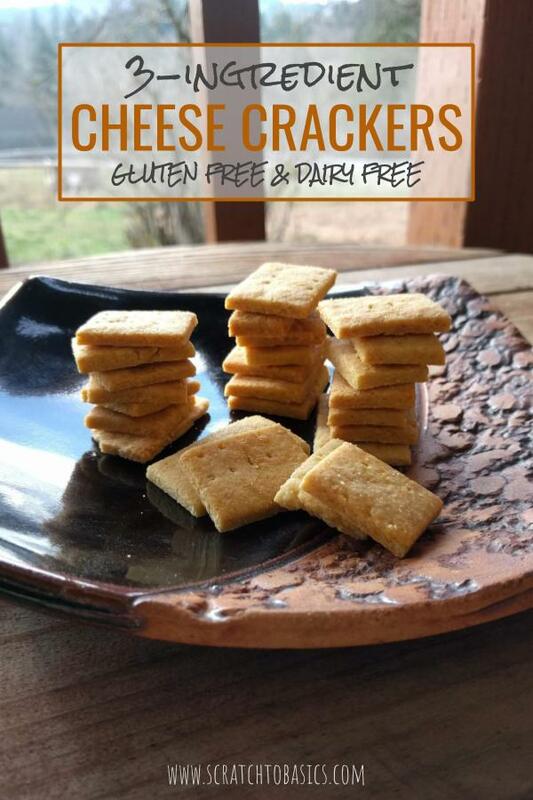 We sometimes add a bit of cayenne for a spicy version of this homemade “cheese” cracker. Or you can put some herbs or spices in there with or without the nutritional yeast. 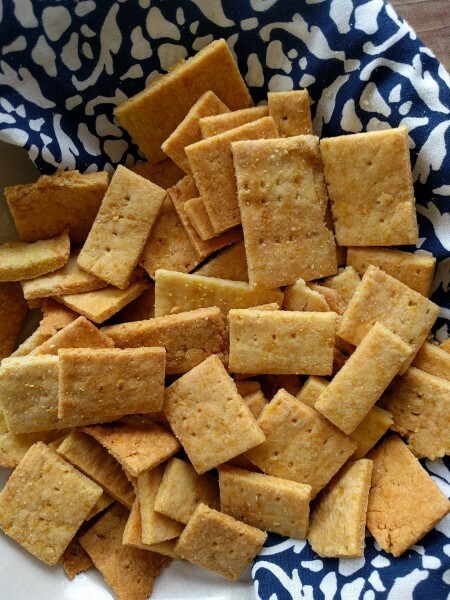 Do you have a favorite store bought cracker that you want to make from scratch? Go for it! 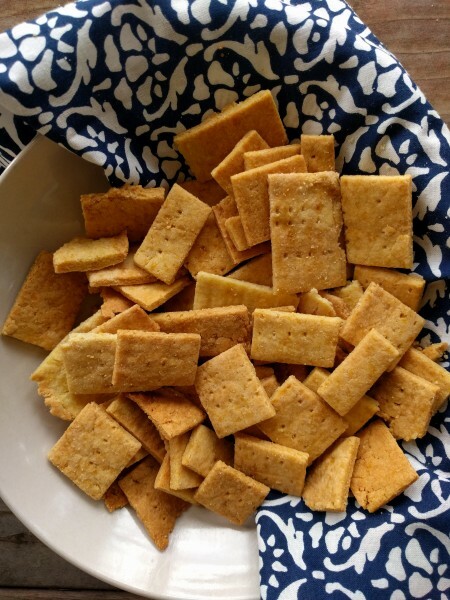 How Do You Make Crackers From Scratch? This recipe couldn’t be simpler. With three ingredients (I don’t count the salt), it comes together start to finish in 20 minutes tops. Just mix the ingredients together and roll out the dough between two sheets of parchment paper. Side note: I’ve really been loving these pre-cut parchment sheets. It saves a lot of time that I don’t have to measure and cut pieces to fit the cookie sheet. Once the dough is rolled out, cut the dough into cracker size pieces. I usually just do squares and use a pizza cutter. 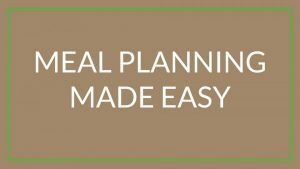 It makes it super easy and fast. If you want to poke holes in them with a fork, you can! Sprinkle a little bit of salt and bake for 8-12 minutes until golden. Enjoy your crackers! Eat them by themselves, or with some avocado mayonnaise or hummus. Bring them to your next party and people will be impressed. You don’t need to tell them it only took three ingredients and 20 minutes to make them. Your secret is safe with me! 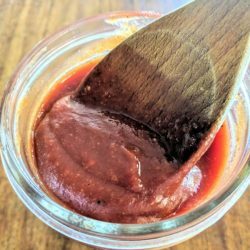 Looking for more recipes from scratch? These tortillas are always a crowd pleaser and can be made easily with a tortilla press. Don’t Forget to Share this with your friends on Pinterest! !